I meant somewhat local, not somewhat talented! 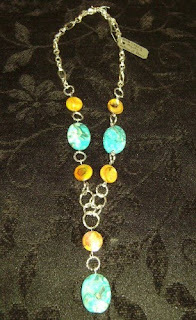 Thank you for the shout out for my jewelry I hope you loved your necklace! I have been creating jewelry for 8 years now and am proud to be a North Dakota artist! Hope to see you at one of the upcoming Minot craft shows!